Congrats – you’ve decided to sell your house! But the catch is, you’d like to sell it fast and for market price. There are a lot of steps that go into getting your house to a place where it looks appealing to buyers. But once you go through those steps, the likelihood of selling your house increases exponentially. So if you’re wondering how to sell your house quickly and for market value, you’re in the right place. Keep reading for all the necessary steps to get you there! First, let’s talk about the one scenario where you are okay with selling for less money. There are times when you need to unload your house as soon as possible, regardless of the market value. Obviously, you aren’t trying to get gouged, but at the same time, the speed of the transaction is worth more to you than getting the full fair market price on your house. In those circumstances, you would speak to a buyer about purchasing your house immediately. The only thing you’d want to do is shop around briefly for whoever will give you as close to market value as possible. If you are able to compare prices, there’s a good likelihood you’ll be able to get somewhere in the range of 80-85% of market value. Which isn’t ideal, but if the quick sale is what you need in that instance, you are at least getting that. The other benefit of that kind of sale is that it’s relatively free of stress. Since the house selling and buying process can often take twists and turns over a long period of time, selling quickly helps you avoid those. There’s no long period of waiting for inspections, and it’s less likely that the buyer will spend a couple weeks in escrow and then suddenly back out. That scenario is less likely to happen. What’s more likely is that you want to sell your home for market value (or more!) and you’d like for that process to happen quickly. For those instances, there are specific steps you should take to ensure not only that your house looks and shows as well as possible, but that it’s marketed in ways to attract serious buyers. The first thing you’ll need to do is take steps to make your house look as appealing as possible to potential buyers. Because without an attractive appearance, they’ll likely skip your house and move on to looking at one nearby instead. Start by upping your house’s curb appeal. This means making sure the exterior of the house looks well maintained and elegant. If there are gardens or landscaping in the front of the house, make sure they are groomed and replanted if necessary. If the paint on the house is worn off, you might want to consider getting it professionally painted. But at minimum, make sure the paint on all your doors and window frames looks good. Another great trick is to hang baskets or window boxes in the front of the house to give it a more “homey” look. Next, don’t forget about the back of the house too. Once people are looking, they’ll definitely walk around to the back to check that out too. In a competitive market, the back yard can make or break a deal, especially if there’s a nice garden back there. If you are a gardener, make your garden look as good as possible before selling. But if you don’t have a green thumb, it might be a good investment to hire a gardener to get your back yard looking good. You have to keep in mind that when prospective buyers come to your house, they are going to be snooping around a little. Not only will they walk through every room, but they’ll also often open cabinets, peek in closets, and generally look at the home thoroughly. So make sure you give your house a deep clean before showing it. If buyers come across a drawerful of dust or filthy carpets, they are going to be turned off. Some rooms might need a fresh coat of paint. Maybe there are window screens that need replacing. Maybe even adding flowers to a room will help its look and the smell. Another thing to keep in mind is that not everyone has the same taste as far as color schemes. If your house has bright or unusual colors, consider taking steps to get them to a more neutral hue. Remember – they want to walk around and imagine what it would be like if they lived there. So make that dream as easy as possible for them by presenting a clean and enticing indoor space. Get That Clutter Out Of Here! We get it – clutter happens to everyone. When you’ve lived in a house for a while, items tend to pile up, even if you’ve been fairly diligent about keeping a tidy home. First, try to remove unnecessary furniture. It might not seem like clutter to you, but accentuating the look of an open floor plan is very helpful in selling your house. People want to imagine adding their own furniture to your space. Next, remove all your personal items. This could be photos, or knick-knacks from a special trip you took. Basically, anything that puts the stamp of “I live here, not you” on your house. It’ll help people envision putting their own photos and knick-knacks there! Go through your attic, basement, and crawl spaces and clear them out. You should also go through closets and pantries and take out anything not completely necessary. Most likely, this means you’ll need to rent a temporary storage unit so you have a place to put all the items from your decluttering. Trust us, it’s worth the added expense. There are inevitably going to be some things in your house that are in need of repair or replacement. It’s a good idea to get as many of these things sorted out as possible. You might consider having your own inspection done before you put the house on the market. This will head off any potential snags that the buyers’ inspection would unearth. And if you can’t fix them or don’t have time, just know that you might need to reduce your asking price later as these issues are discovered. Some examples are rotting exterior wood, broken lights, running toilets, termite damage, or leaks. It’s common for people to overestimate what their house is worth. Or sometimes, you see that a house on your block just sold for a certain amount, and assume yours will go for the same. But every house is different! Our suggestion is to talk to a real estate professional to get started with a ballpark range for your house. And if you are looking to sell quickly, know that you might need to bring your price down from your original number. You should try to look around at what else is for sale currently, and compare your house to those houses. Just be sure to use comparables that are actually close to the specs of your house. There’s no use in considering what a 5 bedroom house up the block sold for, if yours is a two bedroom house! And ask your real estate agent for help with that too. 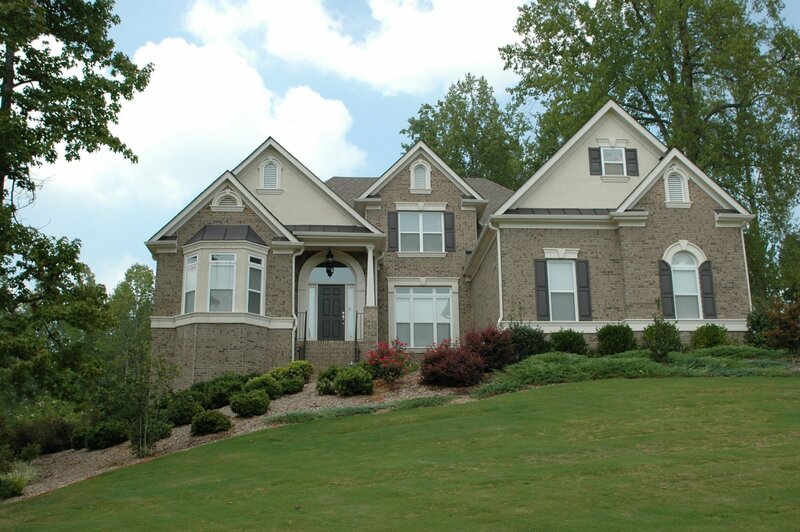 See what they say in terms of comparing your house to current houses for sale. And remember that going low with a first sale price isn’t a sign of giving up. Nor doe it mean the house will actually go for that amount. Often a house with a more reasonable asking price will trigger a bidding war, driving up its eventual sale price! When you finally set your price, use the tried and true methods like pricing it just under a round number. Like, ask for $499,900 rather than $500,000. That’s not a huge difference, but it’s more appealing to buyers. Of course, since people searching online will tend to do searches by segments of $100,000. So if you price your house at an even number, say 300,000, then it will end up in the search results of people searching for houses between $200,000 and $300,000, as well as searches between $300,000 and $400,000. Selling a house in the dead of winter isn’t ideal, because of the cold and the lack of daylight. And summer can be tricky as well, because of vacations and the heat. So that leaves spring and fall. Those are the best two seasons to put your house up on the market. Spring is considered the best because of the longer daylight hours and generally temperate weather. Plus, any flowers on the trees around your house are more likely to be in bloom, which enhances curb appeal. An added bonus is that often selling in the spring means that the closing of the house will coincide with the start of the new school year. This is a nice bonus for house buyers in pueblo who have school-aged kids. 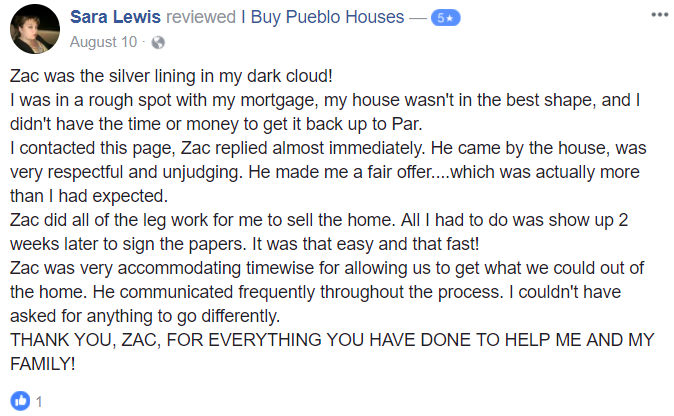 Hopefully, these steps gave you answers for how to sell your house quickly in pueblo and for market value. If you follow them, you’ll up your house’s curb appeal, set the right price, and sell to the right buyer! If you have more questions, or want to chat more about how to best prep your house, contact us today!